I have been lying in the long grass recently, even though it was the dead of winter. 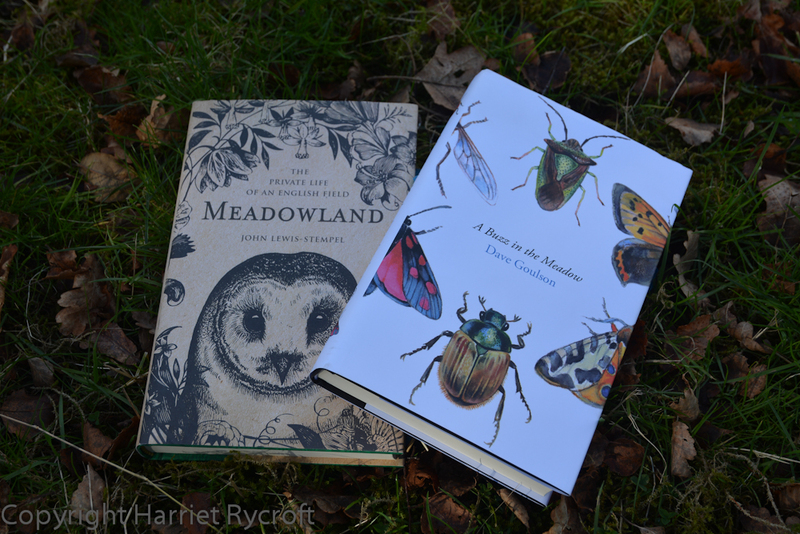 At Christmas I received a nice little crop of books, two of which were based more or less loosely around the life of certain meadows and fields: Meadowlands by John Lewis-Stempel and A Buzz in the Meadow by Dave Goulson. Both books had rather attractive covers, I think you’ll agree. But I didn’t judge them by those. Well not much anyway. I do like books which fit comfortably into my hands, and are easy to read in bed, which is where I do 90% of my reading. These two small hardbacks were just the right size, and light enough not to injure me too badly when I fell asleep and dropped them on my face. On a less flippant note I am glad to see that publishers are competing with ebooks by producing objects which are a pleasure to hold and to look at. Neither book is illustrated but each is vivid in its own way. John’s style is the more poetic, in fact at first I was slightly irritated by it, perhaps Christmas shopping had made me prosaic, but I soon settled into it and found the book a soothing but not soporific read. Poetic turns of phrase seemed sincerely meant and at times the words really sang. 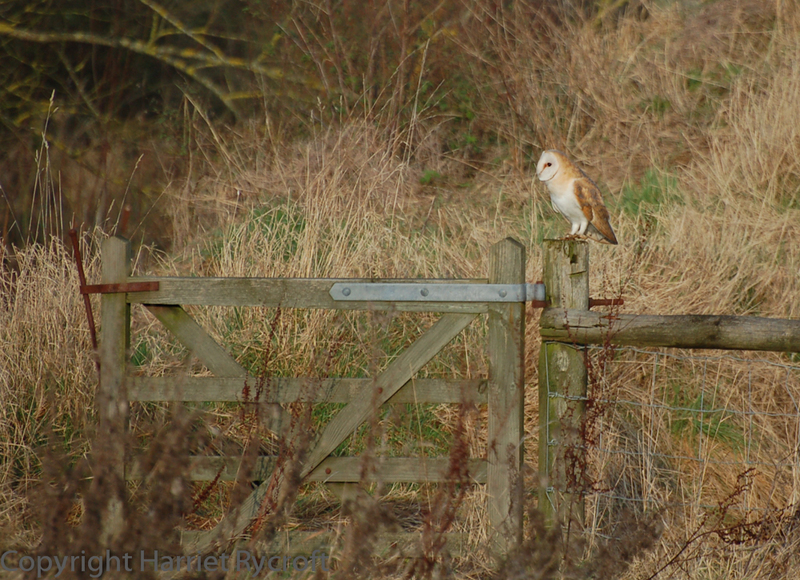 John follows a year on his Herefordshire farm, concentrating on one particular field and the seething life in and above it. Each chapter covers a month and is divided into fairly small sections (convenient for a narcoleptic reader) but the anecdotes ebb and flow with a rhythm which echoes those of the land around him. Dave is a scientist and has a more measured, evidence-based approach to his observations but he is still filled with wonder by the natural world and his writing is not without poetry. 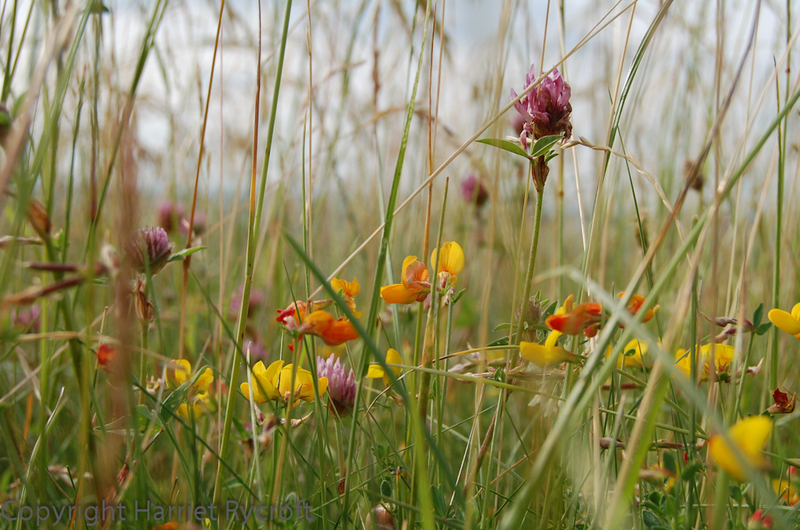 We are less immersed in Dave’s meadow (at his house in France), it is more of a starting point for excursions, but he knows his land well and your foot catches in the cinquefoil too as you walk its contours with him. Immersed. 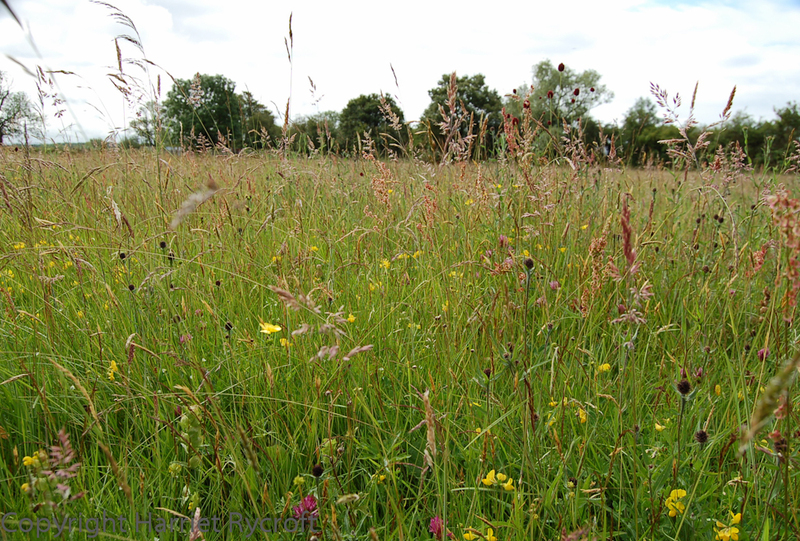 This is chalk meadow near the Uffington White Horse. John’s knowledge obviously also has solid foundations, and I was pleased to see him use scientific names for many of the different species he talks about without apology or heavy-handedness. Both men were ardent schoolboy naturalists, I suspect their bedrooms smelled more strongly of poor taxidermy than sweaty socks. Where are the children keeping frogs and spiders in their bedrooms now? I hope there still are some. I had newts breeding in my childhood room, but I worry that more recent generations have been taught to fear “bugs” and “dirt”. A connection with past land use. 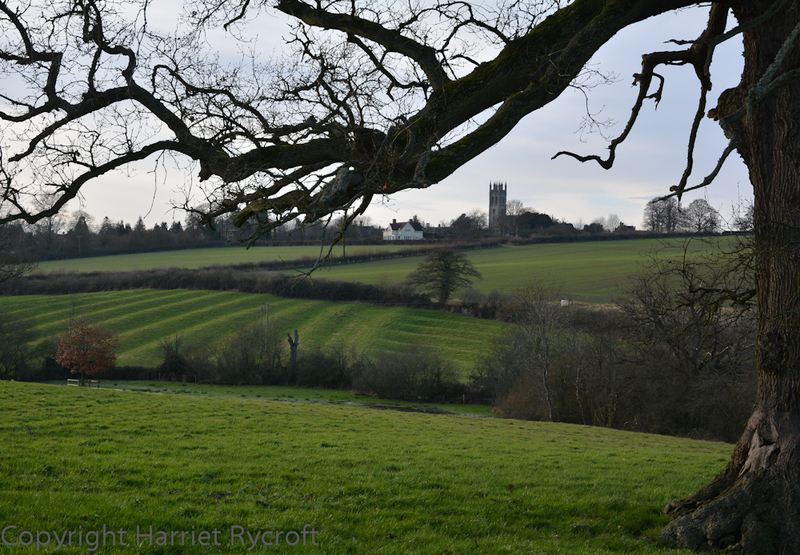 Ridge and furrow in Oxfordshire. These are two people who are each lucky to own a fair-sized piece of land which has not been wrecked by intensive agriculture (or horticulture) and to have some time to observe it closely, and I think they both appreciate this. They both talk sensitively about previous owners and historical uses of their land, John’s family roots in the area make this especially evocative. I enjoy details which connect us to inhabitants of long ago and have always felt this magic more strongly in hedges and lanes than in monuments. I can’t help thinking that in an ideal world everyone would have a patch of land to observe and to manage, to get to know intimately. Some of us have gardens but not everyone is that fortunate. Perhaps such a re-connection to land might go some way to slowing the rush to destruction of natural resources. 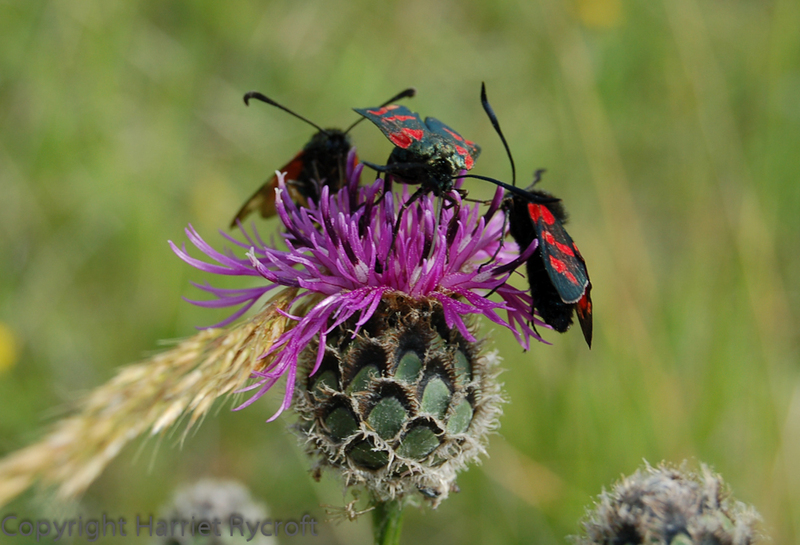 It’s one more reason why the movement to save allotments is important; whether you are into growing your own veg or not, these are the places where people of all backgrounds can become re-acquainted with nature and realise that they are a part of it, not apart from it. 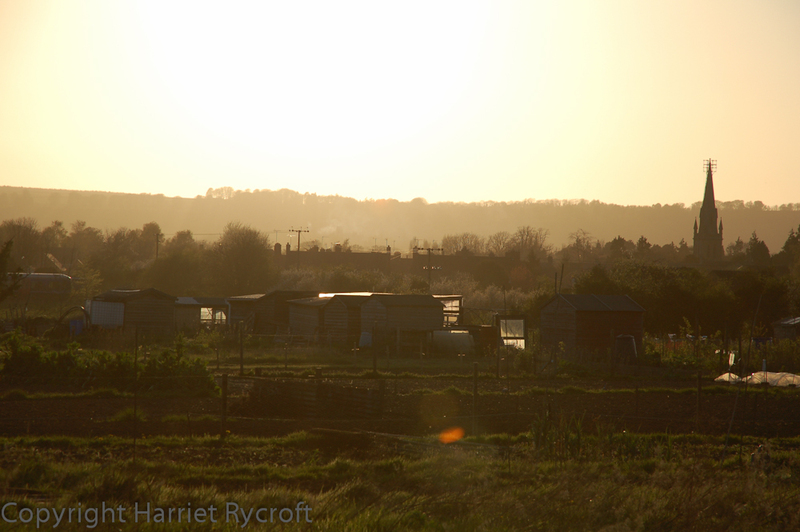 Could allotments help to save the world? There is magic in the meadows but no sentimentality. The redness of tooth and claw has not been edited out and the necessities of making land work for its human inhabitants are also faced. Each author takes time to lie in the long grass but each also talks about the pleasures of hard physical work – digging, planting, scything… These are people who are using land for reasons of science, curiosity, agricultural business, entertainment, nourishment… but using it with respect. Even though present-day wonders are celebrated both men express fears for the future, an awareness that we are in the midst of a massive extinction event which will not be halted by the piecemeal preservation of tiny shreds of habitat. These are the voices we need to listen to, never mind the talking heads who blather on about economic “growth”. I hasten to add that these books are also funny. I won’t do that movie trailer thing of revealing all the best bits but let me just say you should watch out for voles up shorts, hilarious headbanging beetles, startled badgers and mysterious plagues of flies, among many others… There is lots to learn – like many of his fellow entomologists Dave has a quirky humour and eye for weird detail which means that you learn effortlessly, and John shares his curiosity more quietly, so that you absorb the place and its treasures but are occasionally startled and amused by his playful moments. John can see how easily land can be ruined by unsympathetic management and teaches us to respect fellow inhabitants past and present. He is happy to sit in a field in the dark for hours on end to see what happens and knows what a mouldywarp is. Dave sees the complicated web of ecology and the danger of neonicotinoid pesticides with terrifying clarity, but he’s accident prone and slightly obsessed by cheese. It’s been a pleasure to walk beside them both in the pages of their books.